There are plenty of ways to make money abroad, from volunteering to picking fruit to working on a cruise line. One of the most tried and true ways to fund your travel is to get a job teaching English overseas. Today’s post is from Jessica at MissAdventure Travel, who’s spent the last six years traveling and teaching English abroad. We wanted to share her thoughts on the best countries to teach English abroad, since she’s taught in both Thailand and China. Here’s what Jessica has to say. Why did you decide to teach English overseas? When I first decided to Teach English Abroad, it wasn’t for noble reasons. I’d wanted a way to travel and to write, and I didn’t have enough savings (more like $0) to live for a significant amount of time. I’m a little more savvy now – I’ve even written about the the best travel hacks to save you money – but back then I was first learning of the idea of slow, meaningful travel, and it resonated. I wanted the chance to immerse myself in a completely foreign culture, to become a part of the community, to put myself as far out of my comfort zone as possible…all for the chance to come back changed. Perhaps I didn’t know I was seeking change at the time, but after teaching English Abroad for nearly two years, first in Thailand and then China, I learned that with this kind of travel, the change is inevitable. It’s impossible to step outside of your norm, witness how those different from you live and think and speak, and to NOT return home a different (and better, I’d argue) person. 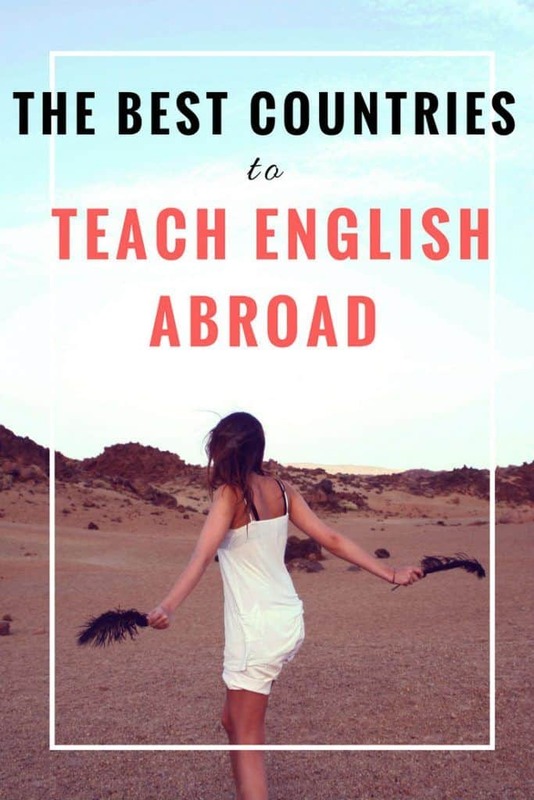 As airfare becomes increasingly more affordable around the world, the desire for meaningful travel experiences like teaching English abroad is also on the rise (don’t just take my word —here’s a list of the best blogs about teaching abroad!). After teaching abroad myself, I started a TEFL agency where I help those who are just getting started figure out where they’d like to go, and how to get there, proof that you just never know where teaching abroad can lead you. 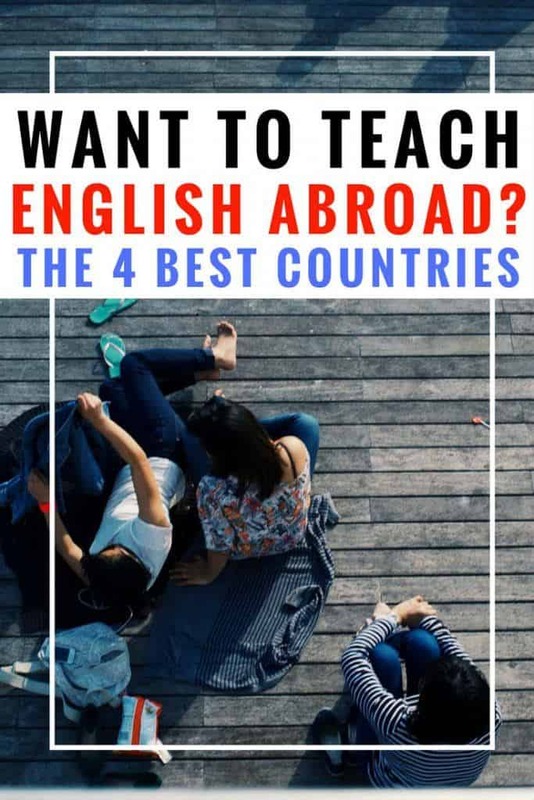 My first-hand experience in the industry over the last six years has given me insight into the world of teaching ESL, and as a result, a personal list of the best places to teach English abroad, for varying reasons as mentioned below. One could say I’m undoubtedly biased when it comes to putting Thailand at the top of the list, but I can quickly argue anyone out of that logic. Thailand is an easy pick for the top because it’s the best of so many things. Not only do you get tropical weather, gorgeous scenery, a never-ending list of things to do and see, friendly locals, delicious food and ease of travel to neighboring countries with Bangkok as your hub, you’ll also experience a laid-back lifestyle, a light work load, and a super low cost of living coupled with a relatively high income. Some people consider Nicaragua the forgotten step brother to it’s much more popular neighbor, Costa Rica, but I’d be willing to bet those people have never been to Nicaragua, and that’s precisely why I love it so much. If off-the-beaten track is your peanut butter, then Nicaragua is your jam. Think volcanoes, unspoiled beaches (great for surfing), one of the largest lakes in the word (with freshwater sharks! ), and gorgeous, colonial towns. Nicaragua is pretty new to the ESL scene, so there are more jobs available than teachers to fill them, and you don’t need a university degree or even to be a native speaker to qualify. Beer and castles. Need I say more? 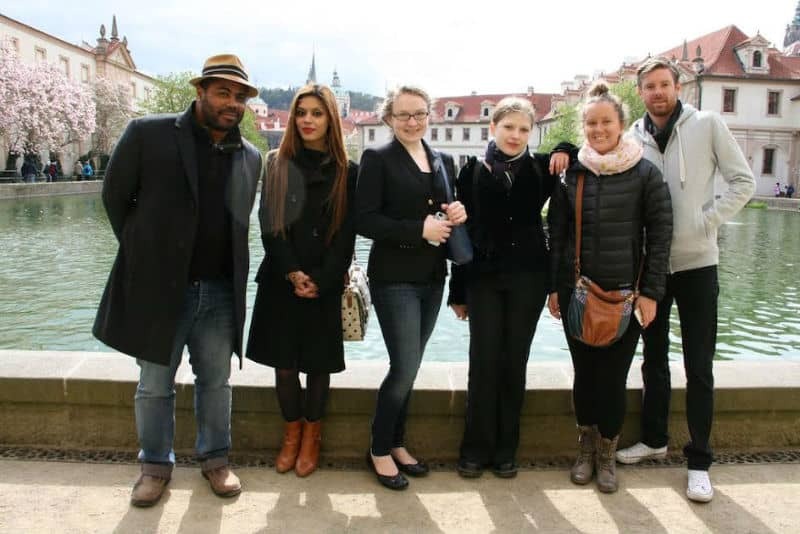 The self-proclaimed beer capital of the world, and also the country’s capital, Prague, Czech Republic is a hot bed for English teachers right now. Not only does it offer a comfortable lifestyle with no shortage of things to do (hiking, castles, beer tours, shopping…), but it’s also one of the cheapest cities in Europe to live AND it’s almost smack dab in the center. As an ESL teacher in Prague, you could have a central home base from which to explore the rest of Europe by train or car (weekend trip to Amsterdam, anybody?) while earning a living wage. The salaries aren’t high but you will earn enough to cover your living expenses, and have lots of opportunity to work more if you wish. Plus, the Czech Republic is relatively new to the scene when it comes to hiring ESL teachers from abroad (and being able to get them work visas), so the jobs are aplenty. If you’re looking for a little more cushion in your bank account, consider a government-sponsored position in South Korea. Slightly more competitive than the above mentioned countries with more requirements (only open to native speakers with a degree AND a TEFL certification), programs like EPIK (English Program in Korea) come with great salaries, furnished accommodation, paid vacation and annual airfare reimbursement. What questions should you ask when you’re looking at a teaching commitment? One thing to keep in mind when it comes to choosing a location: the higher salary and better benefits typically equals longer contract commitments and more teaching hours required. Another question to ask yourself might be if you prefer to teach in a public school or in the private sector? Children or Adults? How many hours per week are you willing to work? Will you want your weekends free? Do you need a TEFL certificate? Can you get it overseas? Regardless of where you decide to teach, it’s highly recommended to obtain a TEFL certification. With the growing popularity of teaching English abroad, more and more countries and employers are starting to require it, plus it will help you stand out above the crowd and make you a better, more confident teacher, which can only benefit your students in the end. There are courses all over the world as well as online, so you can choose a program that suits your needs. If you know you want to teach in Thailand, for example, it’s best to get certified there. 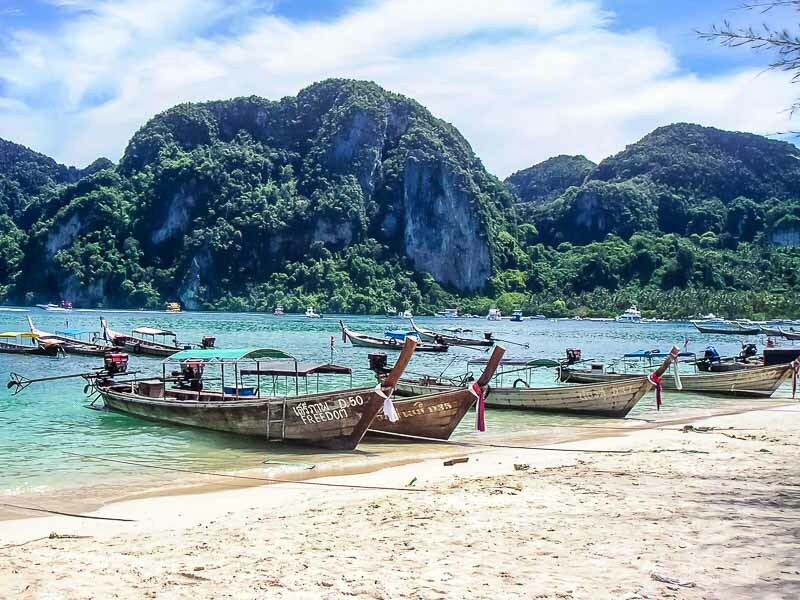 Not only will you still gain an internationally recognized certification, but you’ll get hands-on experience and tips/tricks for what works specifically in Thailand, so you’ll be perfectly prepared to step foot in the Thai classroom, and from there, you’ll be able to tailor your skills to other students from around the world. Bio: Jessica Hill is the face of MissAdventure Travel, a blog about adventure travel and teaching English abroad. After teaching English in Thailand and China, she started Teach English: ESL, a TEFL agency where she helps others teach English abroad. Find her on Facebook.